The Atlantic is loaded with new names and intrigue heading into 2017-18. 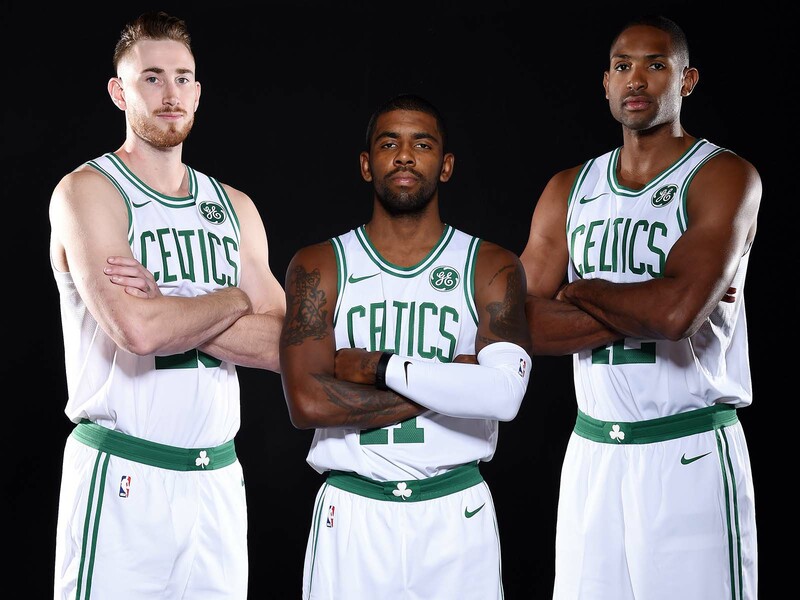 Can the revamped Celtics claim the East's No. 1 seed? Will The Process produce a playoff berth? We break down the division. The Atlantic Division has featured the good, the bad and the ugly of the NBA over the last few years. Consistent success from the Raptors and Celtics has often been offset by shameless tanking from the 76ers and shameful losing from the Knicks and Nets. But what was once a division clearly separated between the haves and have-nots has become a little bit more interesting headed into this season. The Celtics and Raptors are still at the top, but the 76ers are finally coming together, and even the Knicks and Nets seem to have something resembling direction and maybe even a hint of forward momentum. Oh, and this group is loaded with interesting storylines. Kyrie and Gordon Hayward joining forces in Boston, Markelle Fultz, Ben Simmons and Joel Embiid drinking Gremlins in Philly. 2015 lottery picks Kristaps Porzingis and D’Angelo Russell taking over their own teams. Boston will be favored to win, but a lot of these matchups should be pleasing aesthetically. Let’s break down the Atlantic Divsion. Outlook: The C’s finished first in the East last season, winning the Atlantic for the first time since 2012. Despite the success, Boston underwent a major upheaval this summer, and is bringing back only four players from a team that made the conference finals. Boston managed to pull off this summer's biggest blockbuster trade (Kyrie) and biggest free-agent signing (Hayward), giving them a drastically different look. How quickly Irving and Hayward can mesh could go a long way in determining if Boston is able to repeat as the No. 1 seed. One thing to keep an eye on is the Celtics’ depth. Brad Stevens won’t have as many options to play with this season, but he’ll have more top-end talent at his disposal. Best Case: Irving and Hayward get along famously, and Boston cruises to the top seed in the East en route to a Finals berth. Worst Case: Boston finds out quickly Irving isn’t a franchise star, and the Celtics stumble to the fourth seed without the uplifting play of Avery Bradley and Jae Crowder. Outlook: The Raptors had a tough offseason. After loading up for a playoff run at last season’s trade deadline, the salary cap monster came to collect this summer. Gone are valuable rotation pieces P.J. Tucker and Patrick Patterson. Back are aging vets Kyle Lowry and Serge Ibaka. Toronto is still a high-floor team. Lowry is one of the best guards in the East, and Ibaka should allow them to play some intriguing small-ball lineups. (Please don’t play Ibaka and Jonas Valanciunas together, Dwane Casey.) But DeRozan and Lowry still have playoff demons to exorcise, and with Lowry, injuries may also be a concern. The Raptors can beat any team on any given night in the NBA. What that means come postseason time remains an issue. Best case: DeRozan develops a three-point shot, and the Raptors make a conference finals run to spoil the Cavs-Celtics matchup that's already been penciled in. Worst case: Lowry gets hurt, Ibaka stops playing defense, and the wheels come off as the Raptors fall into the bottom half of the playoff bracket. Outlook: Philly has the highest boom or bust potential of any team in this division. And really, all those hopes are tied to Joel Embiid. If Embiid is healthy, the 76ers can be a playoff team. If he’s hurt, the Sixers’ success will likely be hamstrung by their youngsters’ growing pains. Outside of Embiid, Fultz, Simmons and Dario Saric each offer hope for the future. Fultz will be especially fun to watch—he’s taken a backseat to some of the other guards in his draft class, but there’s a reason he was the No. 1 overall pick. Simmons will also be a fascinating study, and we should find out quick if he’s really going to be the team’s starting point guard. With a couple veterans in on the action in Philly as well (hello, J.J. Redick and Amir Johnson), the days of tanking into the abyss are over. Best case: Embiid plays 70 games, and the 76ers clinch a playoff spot on Shirley Temple Night. Worst case: Embiid plays 10 games, Simmons can’t shoot, and Fultz is spotted wearing Big Baller Brand slides after the team’s 50th loss. Outlook: The Knicks cleared some skeletons from their closet and invited others back this offseason. James Dolan finally fired Phil Jackson, who almost made fans yearn for the days of Isiah Thomas. And Carmelo Anthony was actually traded, clearing the way for Kristaps Porzingis to be the team’s one and only star. There are some nice pieces here: Zinger, Frank Ntilikina and Willy Hernangomez are not bad guys to build around. But, this being the Knicks, there are also some cringeworthy contracts—Enes Kanter? Joakim Noah? Wait, Tim Hardaway is back? New York won’t be able to get out of those deals, which means the start of the Porzingis era is already being weighed down by Noah’s sometimes-functioning knees. Best case: The vets rally around Porzingis but also stay out of his way, and Zinger and French Frank flash signs of becoming a serious one-two punch. Worst case: The losing continues at a torrid pace, and Porzingis starts to wonder how much longer he wants to deal with the awful New York real-estate market. Outlook: Brooklyn general manager Sean Marks took over what was easily the worst job in the Association in 2016. Devoid of draft picks, the Nets were staring at a long and painful rebuild, and Marks is still close to the very start of that process. Still, he’s making the right moves so far. The Nets took on some iffy contracts this summer (DeMarre Carroll, Timofey Mozgov), but collected some important assets with those deals. The Nets grabbed two picks for acquiring Carroll, and Marks also acquired Allen Crabbe from Portland, a 3-and-D wing who Marks tried to sign as a restricted free agent last summer. Meanwhile, Russell will have a chance to revive his career in Brooklyn, and perhaps the change of scenery will provide a necessary wake-up call for a still talented (and still young!) player. Brooklyn has a long way to go, but at the very least, a plan is starting to take shape. Best case: Russell makes a leap as a point guard, the Nets know they have at least one blue chipper they can build around for the future. Worst case: Jeremy Lin is still this team’s best player at the end of the season. Norm Powell has long been a favorite of Basketball Twitter, and he broke out a little bit during the Raptors’ most recent playoff run after a solid regular season. This year, with Carroll and Tucker gone, and Toronto potentially being forced to play small more often, Powell could benefit greatly. His outside shooting is particularly welcome as a contrast to DeRozan, and his game complements Toronto’s stars well. If Powell can develop into a lockdown defender, he has the potential to be a very important piece for the Raptors. With an opportunity for more minutes on the perimeter—and more time on court with the team’s best players—Powell is in position to have a big season. Fultz and Simmons are both No. 1 overall picks, and both expect to be point guards in the NBA. Simmons appears fully ready to go after sitting out for a full year with a foot injury. Of the two prospects, Fultz’s game seems a bit more NBA-ready, though it’s a little bit concerning that he’s been tinkering with his jump shot as the season approaches. Meanwhile, will Simmons hold up defensively? Can he really run an offense? Simmons could become a matchup nightmare for opposing teams, or he may never find the right role to settle into. 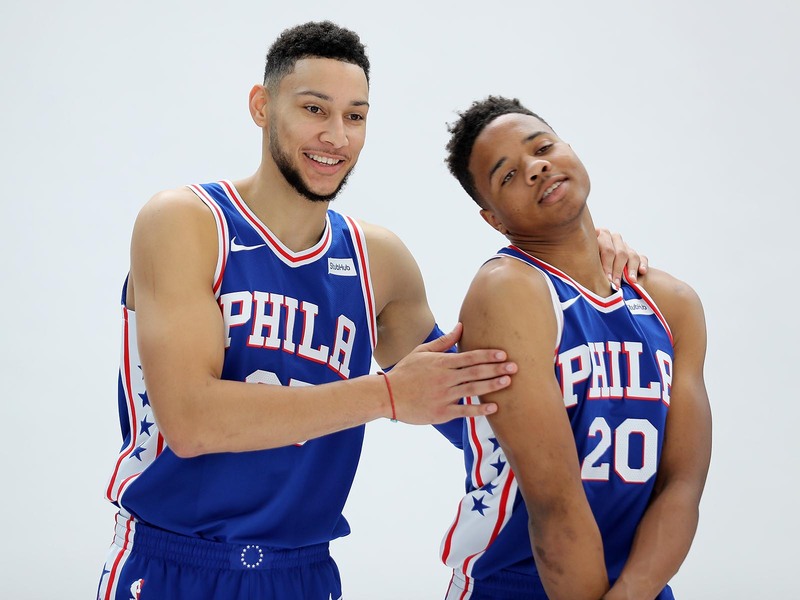 And both Fultz and Simmons will have to prove themselves while wrestling with each other (and Embiid) for control of the offense. There’s a lot of talent in Philadelphia. Making all of it work together won’t be a simple task for Brett Brown. The Raptors brought back Casey even though his team went from a conference finals berth in 2016 to a second-round loss in 2017. Toronto has made the playoffs four years in a row, but the Raptors have been bounced by LeBron and the Cavs in back-to-back summers, most recently in a humbling sweep. Casey’s biggest task this upcoming year will be to find a way to stop his offense from coming to a mind-numbing halt in the playoffs, otherwise it could very well cost him his job. The Raptors brought back their core this offseason with the hopes of continuing their recent success. If another postseason goes awry, it will be much easier to replace the coach than the players. Three players from this division will start for the East’s All-Star team.